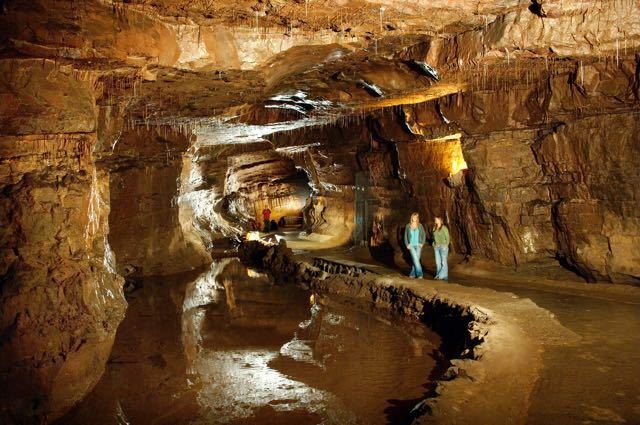 Dan yr Ogof is located in the Brecon Beacons National Park, roughly 15 miles from Brecon. This was one of the highlights of our visit to this area with our family. There are many different things to see and do here, you can walk through the caves, have a look in the museum, see Mr Morgan's Victorian Farmyard, a reconstructed Iron age village, kids play areas, see a stone circle, find some fossils or pan for gold. There are 3 separate caves to explore Dan yr Ogof, Cathedral Cave and Bone Cave, though at the time we visited the Bone Cave was closed due to heavy rain. 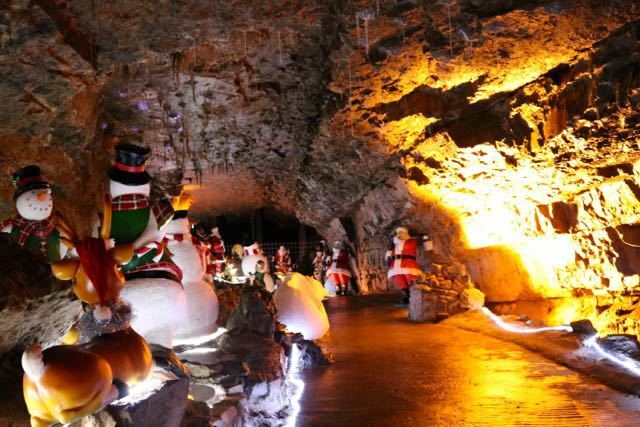 We visited in December when all the caves were decorated and had a Santa giving out gifts to the kids. It's possibly the largest cave system in the UK with 11 miles of it having been explored so far. The start of the cave system is open to the public with the remainder being restricted to Cavers. It's a unique experience and feels like your entering a different world, with stalactites on the walls and an underground waterfall and lake. 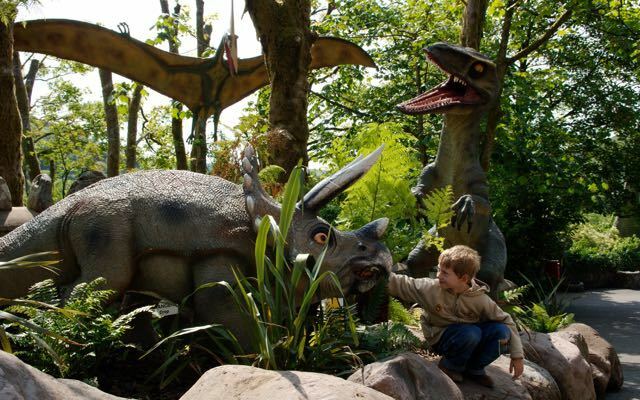 Dotted throughout the site, there are several hundred lifesize dinosaurs, some hidden so well that you have to look carefully to find them. Down near the main entrance at the lower part of the site you'll find the Victorian farm exhibition and indoor play areas with indoor Jurassic Karting track for the younger kids under six, plus Barney Owl's Adventure play area for older ones aged over six. The farm has several goats, alpacas, llamas, Shetland ponies and chipmunks. If you're hungry, there's also a cafe on site and seating outside the main area, where you can bring and eat your own food. Overall, it's a good place to visit for young and old, worth a visit if you are in the area. You could easily spend a whole day there. Cost: Adults £15.00 Children £11.50 (ages 3 - 16) Children aged 2 and under are welcome at no charge.